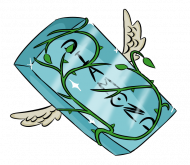 Diamond Rank comes with a bold, light blue prefix and includes all the perks of Iron Rank as well as Gold Rank. Oh and you guessed it, even more awesome stuff. You get MORE pets, disguises, trails and perks! 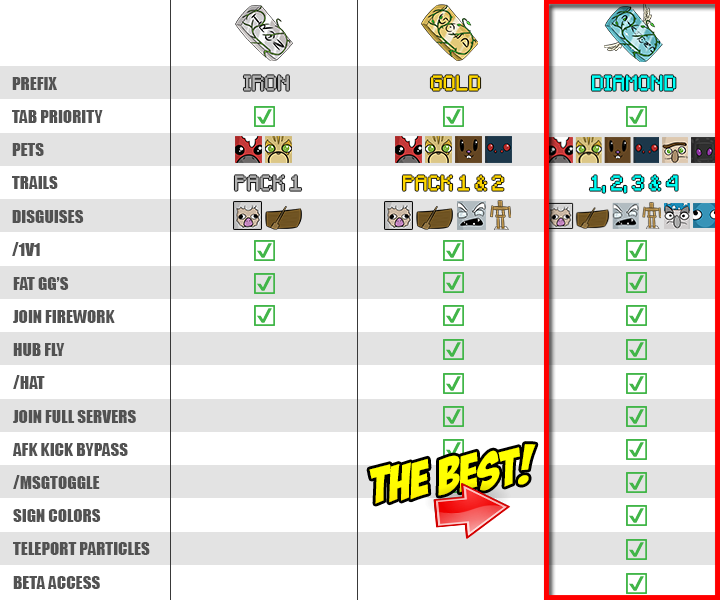 Diamond Rank comes with beta access to new gamemodes/certain resets, plugins and features. It comes with the ability to write coloured signs, particles when you teleport places and much more to come. To access your pets, simply run /pet and a menu should pop up displaying the pets you own. To duel a player use /duel [username] and a GUI will pop up so you can select kit and arena. This plugin is new so is still in beta. To access your trails simple run /trails and a GUI will pop up for you to select your trails!